To get More Information About This Business Select The Link To The Left "Sign NDA." This restaurant is an icon in the area operating, very successfully, for more than 30 years, with year-over-year growth in revenue as well as bottom-line earnings. This is a highly confidential listing, as one can imagine when a restaurant grosses nearly $3 million a year, with Seller Discretionary Cash Flow (SDCF) close to $600,000 in 2016. It is priced to sell at about 2.5 times SDCF. 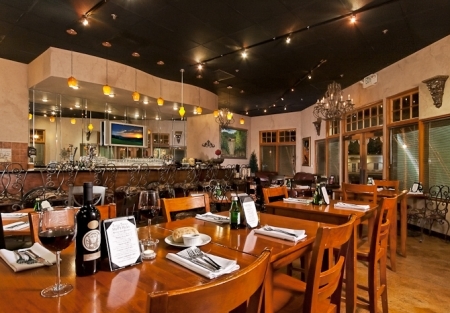 This is an upscale restaurant with a full bar in an upscale area including catering and banquet business. The owner has successfully operated this store for more than 12 years and is ready to move on to other ventures. He recently invested more than $100,000 in renovations. The books and records are clean and tax returns are available to pre-qualified buyers. All buyers must be pre-qualified before name is divulged. A qualified buyer will have at 5 years restaurant management or ownership experience with similar style and size restaurants, a FICO score over 700 and at least show more than $300,000 in the bank for the SBA loan down payment. If you have these, please call me by going to SellingRestaurants.com and searching for listing 4974, once found then select the button to the left titled "Sign NDA." This business is perfect for an SBA loan. With 20% down ($300,000) the annual payments will be about $160,000, leaving an after debt servicing cash flow of about $400,000+. Call for more details.